Q: What are your shipping rates for dry goods? 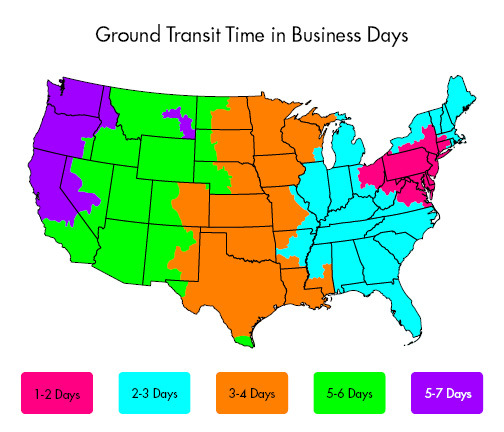 We ship best method possible to all the 48 contiguous states for dry goods orders. All fees include shipping, handling & processing. There may be additional shipping charges for items of size or items delivered direct from the manufacturer. FedEx cannot ship to a P.O. Box, APO or FPO address (these addresses are served by USPS). Customers in Alaska, Hawaii, Puerto Rico and other areas outside the Continental United States should call customer service for shipping rates. If the order is placed online, it will not have the correct shipping charges applied in the cart. You will be contacted by customer service with the correct shipping total once we receive quotes. Call about APO and Diplomatic Pouch restrictions. There is no minimum order for U.S. or Canadian orders, however a there is a $150 minimum order required for foreign orders. View shipping rates for frozen food, live fish, plants and corals here. We ship most of our merchandise directly from our warehouse in Lancaster, PA. There are some products that ship directly from manufacturers (drop ship). Our warehouse staff packs and ships orders Monday through Friday (except holidays). Most orders leave the warehouse within 2-3 days of being placed. "Best Service" is used to ship orders unless otherwise specified during the ordering process. "Best Service" is the most inexpensive ship method based on the products ordered and the shipment destination. Q: What expedited shipping methods are available? Please call for a price quote. Signature may be required for delivery. In-stock air orders will ship same day if your order is completed by 2 pm Monday-Thursday and 1:30 pm on Friday EST. Q: When are express packages shipped and delivered? If you select an express shipping option, please note that express packages are shipped and delivered Monday through Friday and will not be shipped or delivered over the weekend. Q: Can an item's size effect shipping cost? Q: Does That Fish Place - That Pet Place ship internationally? We ship world-wide! For delivery outside the contiguous 48 states including Alaska, Hawaii, Puerto Rico and APO addresses, please contact Customer Service via phone or e-mail. We have various shipping methods available for timely and cost effective delivery to locations around the world. International orders require a minimum purchase of $150 of in-stock dry goods. Payment methods are limited to American Express, money order or wire transfer in U.S. currency as payment, personal checks will not be accepted. Please call 1-888-842-8738 for transfer information. Livestock orders are shipped within the 48 contiguous states with the exception of California. Frozen food orders are only shipped within the contiguous 48 states. Q: Will where I live affect the cost of shipping? Yes, for items marked with (oversize shipping may apply image), the price of shipping may vary depending on where you live. If you have any questions about the component costs of your order's shipping, please call our call center at 1-888-THAT-PET.